Mold needs a food source and moisture in order to grow. Basement mold is common because basements have many food sources for mold (wood, drywall, etc) and they also have many sources of moisture. To make matters worse, when a basement gets wet it usually takes a long time to dry due to minimal sunlight, poor ventilation and high humidity. If you find mold in your basement it should be removed immediately. However, a problem with basement mold is that it often grows in wall cavities or other places that cannot be seen. If you don’t see mold but you suspect it is there because you can smell it or you know you have a moisture problem contact Alert Restoration. We will conduct a mold inspection for you, free of charge. 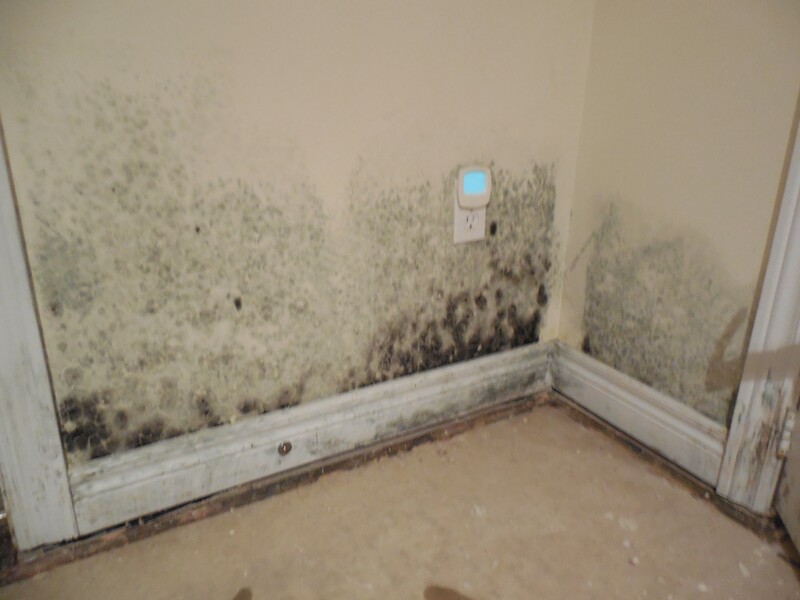 According to a study conducted by CMHC, basement mold is predominantly caused by repeated and/or prolonged wetting incidents. If you have a plumbing issue in your basement such as a leaking pipe, clean up the water and fix the problem immediately. You have about 36-48 hours to eliminate the moisture source and start the drying process before mold begins to grow. Water intrusion is another major cause of basement moisture. Water may enter a basement through leaking windows. Caulking the windows might stop the leaking. However, it may be necessary to replace the windows or install window wells in order to resolve the problem. If you install window wells ensure they have proper drainage. Cracks in foundation walls is another way water may enter a basement. Cracks can occur as a result of concrete shrinkage during the curing process or from settlement of the structure. If cracks are obvious, repair them. If your basement is finished finding cracks will be difficult. You may want to try simpler waterproofing strategies before you look for cracks. There are some basic exterior waterproofing strategies that may prevent water from entering your basement. One strategy is to install or repair gutters and downspouts so that water drains away from your home’s foundation. Another strategy is grading the ground around the exterior of your foundation to ensure it slopes away from your house. If water intrusion is still a problem after trying these strategies, you may need to consider more sophisticated waterproofing solutions. When it comes to reducing your risk of basement mold, fixing plumbing problems and preventing water intrusion is your best line of defense. However, there are other ways to decrease the risk of basement mold. Ensure your basement is properly insulated as this will prevent warm air from touching cold surfaces and condensing. Ensure your basement is adequately ventilated. When dry, fresh air is constantly circulating, it keeps damp air out because water vapour doesn’t have a chance to condense on surfaces. It is also possible to purchase mold resistant building materials such as mold resistant wood and drywall. If you are thinking about finishing your basement you may want to consider using these products. Basement mold is a serious problem predominantly caused by wetting incidents. Fortunately, there are ways to fix plumbing problems and prevent water intrusion so that your basement remains dry and mold free. If you would like to discuss basement mold prevention strategies contact Alert Restoration. We offer mold remediation services to customers in Oakville, Mississauga and the surrounding areas. We’ll make sure the air you breathe is clean! I agree with you that mold prevention is better than removal. However, we hardly ever go into our basement, so I’m worried that we won’t notice any mold until it’s too late. I’ve had mold problems before in other homes when it got really humid and I know how much of a pain it can be to remove. I don’t even try now; I only hire a professional.